That’s a wrap for WarLOLi! Thanks for Watching! If you don’t succeed the first time, try, try, and try again. That cuts for both our titular character and her antagonist. …will go wrong. Well, it looks like things keep going up and down and down and up for our WarLOLi. To be sure, she has a glorious plan in mind, and in her shoes, wot with her capabilities, along with what we’ve been shown, I think most of us would probably pursue the same plan; get as comfy and as safe as possible away from the front with the war going on. She’s sly on the receiving end too, being careful not to overextend her hand. It wouldn’t do to have the higher-ups see that she intends to get as much gold as she can brick out of the situation. So with orders in hand to report for instruction school, with testing new tech in mind, you can probably see how she’s become quite pleased with herself. It’s better than the front, no matter what. So the Elenium Type-95 pretty much seems to be purpose built to have nothing but problems. It’s an alpha build for one thing and that’s always trouble, but more than that, it’s a plot driver. In this case it’s got one hell of a gremlin riding around with it. Hell? Heaven? For Tanya it’s academic, but for Being X it’s a matter of importance. In this regard and as we saw her do earlier, Tanya was careful not to overextend her hand. By contrast, I think Being X is overplaying. Because, so far X pretty much left Tanya alone for ten years, and given the track she was on, given the pitfalls of a nation at war, and her inwardly planned, functional on the outside but largely noncommittal nature to it, control would have fallen out of her hands sooner rather than later. Being X could have had her in the fold. But…that’s really underestimating her stubbornness, isn’t it, especially when it comes to the necessary faith Being X craves. Somehow her natural smile is actually creepier than her slasher grin. Well, what have we here? In the continued adventures of Tanya the Evil, Our salaryman, who I have taken to dubbing “T.” out of the fact that he is without a name, is chilling pretty nicely in his miniature female body, after having won that shiny silver medal. It seems that tiny 9 year-old girls on the front lines though, is not the image that the not-German Empire wants to show, so they have sent Tanya to work in the military R&D department. She of course could not be more happy as her greatest desire is to stay as far from the front lines as possible, find a cushy job and just stay in the background. Of course, it doesn’t really turn out that way…. Ah, the fate of research assistant…glad to know that some things stay the same no matter what dimension. Umm, if you don’t stop following me, I swear I’m going to call the cops. So, we get to the reason why Tanya prays every time she’s in battle, and find that it’s because of a miracle/blessing/curse that she was bestowed with during her R&D testing days. After having mouthed off once again to “Being X”, you knew she was in for it. His ominous “Oh I don’t know about that…” just put the biggest smirk on my face. And then we get to the final test, and to be honest, I have no problem with the scene whatsoever. If you really think about, this normally would have been the average or ideal situation when someone would have called out for help (a miracle if you will) from the divine, even if unintentional. And it would also be about the moment, that thematically and plotwise that a divine miracle would reveal itself and saved the day. Tanya decided to lay down the glove and wanted to battle a god? In a fight between the mortal and immortal, how did she expect it to be fair? While Tanya can complain all she wants and stubbornly hold out simply because of pure obstinance, “Being X” is making the most use out of her and this life that he gave her, even if she herself is unaware. Even while her prayers are false and only serve to be able to utilize the literal deus ex machina that she has around her neck, her model and actions serve to inspire those around her even if she’s a little on the “nuts” side, and while her faith is still practically nil, she is unknowingly spreading a spark of faith to others. From our little Viktorya to our Mad Scientist, it is indeed how Deus lo vult. In terms of visuals, Tanya’s constant WTF faces are hilarious and I for one love the way she and many of the others look. We finally get the Opening and Ending this week. The first is “JINGO JUNGLE” by MYTH & ROID, who I was first introduced to in Bubuki Buranki. The song has been out for a while and it’s one that I’ve been playing on repeat for a while now. The visuals they got to go with it are awesome as well. And they serve to give us a taste of not only the main girl herself, but our side characters as well. If anything, the Ending, “Los! Los! Los!” by Aoi Yuuki herself is even better. Appropriately a mix of German and Japanese, I’ve been playing this song constantly as well and Yuuki isn’t that bad a singer herself. It reminded me a lot of early 2000s Ali Project OP/EDs, and that’s never a bad thing. Can you take the wrath of ChibiWarLOLi!? Yeah, so one thing this series needs to do it gets it’s damn timeline in order. Holy crap, Nut, I tried to give you a benefit of the doubt at first, but it’s not making the story feel any more in depth, it’s just a bit of untidy that isn’t all that needed. But regardless, this show is still knocking it out of the park, as far as I’m concerned. I think her relationship with the people around her, especially with Viktoriya could use a touch more development in future, she’s a great contrast to Tanya’s characterization, and a little bit more behind the scenes at high command might give the world a larger feel, but for a third episode I think we have what we need to make sense of it all. Von Rerugen is going to be of interest in the coming weeks – already a solid reaction to Tanya’s characterization was made this episode – as he will still have doubts about her effectiveness as a soldier and officer. But high command has other idea. Sparks are gonna fly. Great episode and we have the stage set for so much more to come, can’t wait for more. “perhaps not”? I don’t know if anything could be classified as *more* petty than what this entity is doing. Some Consciousness that has that much control over things is spending its time trying to force the obeisance of a single, seemingly unimportant person? For what gain? Because so far it seems because it has been ‘nonrespected’. Not even ‘disrespected’. It’s honestly pathetic, and shows the moral bankruptcy of such an existence, at least from a human framework. “Praise me, or I will hurt you” is odious. And the fact that it *keeps* interfering in Tanya’s life is just pathetic. I think both Being X and T (and kudos to my blogging partner for that useful abbrev.) are cut from the same cloth. They have power, no denying that, and yet both of them are quite out of touch with people, and they’re opposed to each other, so that is perfect for drama. That actually reminds me of a book series I read once that was about a group of people that accidently through magic and science gained the powers of gods and immortality to match. It was fascinating watching how people that had once been human with the same feelings and desires and deficiencies of humans, become so out of touch with the rest of humanity that by the time we met them, it was an awe to behold. And yet, inside, they still have the failings of humans, so they still argue, fight, love, and kill, but because they are so out of touch, every other human is practically a bug to them. But the tragic thing is, that you can’t see it turning out any differently. If you lived for billions of years with the power of a god at your disposal, with no one but your fellow immortal godlike beings as a constant, you would probably turn out similarly. Being X actually reminds me, thanks for jogging my memory, of the god like beings of short lived comic book publisher CrossGen comics called The First; one House Sinister, the other House Dexter…tells you all you need to know. But they were the connection to all the other books in the line that went from one genre to the next. But Being X reminds me of how petty some of those gods in the First were…but the writer made them that way, the high school clique grown up and the can now level worlds if they so choose. Well, I’m giving Being X the benefit of the doubt. We don’t really have his side of the story other than what we see from Tanya’s POV. Every story has more than one side. Also, any divine being that can’t oversee the universe and also personally be involved with each individual person in that universe shouldn’t have such a title. At this point I’m beginning to think of “Being X” as being similar to the fairies, enchantresses, and other magical beings in fairy tales that come in out of nowhere, subject the main character to a test without their knowledge and if they fail, even in the slightest way, they are cursed with very imaginative, but tragic curses. The fairy/enchantress has whatever character it is completely at their whim until either they’ve decided the person has learned a lesson, or they might not ever undo the curse. The fairies and such aren’t normally seen as petty, but more so as plot devices in order to teach either the MC or the audience a lesson. And they do some of the same things that “Being X” did here, but of course using different means. But I’m sure if you had a more in depth look, it might also seem petty if you were closer to the situation. But that would also suggest that maybe you are looking to close and can’t see things from the superior being’s point of view, since you can only think like a human. To a human standpoint the fae folk are alien, so we scramble to find whatever humanistic emotions we can with them, much to their and our chagrin! So to is Being X, but before we run away with it, let’s remind ourselves that “I am that which returns people to the wheel of reincarnation, initiating rebirth.” is what were are dealing with. So that limits some power as you point out by comparing it too other beings. But this episode, for all her failings, Tanya is the one being chased. Tanya is the one around which Being X is expending resources when it thought it didn’t have to. Who is in charge here? That’s what I think the episode is asking. It sure is fun watching Murphy’s Law happen over and over again to Tanya. But what really makes it work for me is that she has these brief moments where she’s on top, followed by getting royally screwed over by Being X. It’s a fun battle, although Being X obviously has the upper hand here and I’m not sure how it could ever lose. But still, the journey is more exciting than the destination! I have briefly introduce the concept of Being X needing a specific type of worship/respect/faith from T to get by; like worship is it’s food and drink and air, that sort of thing. Well, not specifically T or just T, but that’s the narrative we’re paying attention to. It’s early days, and I am very much speculating on that, but it feels like a pretty good drama point. To me it seems, from one point of narrative view, that Being X needs T/Tanya more than the other way around. I think Being X is having a lot of fun with T/Tanya. It may be bored by those who just blindly worship it, although it also seems to need that worship. But T/Tanya is a fun toy. Like a cat playing with a mouse, Being X lets Tanya think she’s about to escape, then BAM! Being X pounces on her again. It may even be said that Being X prefers Tanya to all its blind worshipers. Trying to get her to worship it isn’t boring. Getting her to worship it is a challenge and if you’re around for eternity an occasional challenge helps stave off boredom. I think Being X is having a lot of fun with T/Tanya. It may be bored by those who just blindly worship it, although it also seems to need that worship. Or it could be for a reason that highlights the Japanese saying “The nail that sticks out gets hammered” and all this is Being X’s way of ripping Tanya a new one for her arrogance and not falling in line. Tanya, kill Spammy! He’s an agent of Being X! Akismet, WP’s spambot was dealing with some meta issues earlier. It’s still ongoing as for now, but doesn’t look to bad, just takes more time to release from the temp/pending folder. But it looks like your comment is back? I love that picture of Tanya on the train with cup in hand. We see her happy and relaxed for once. She’s literally come from nowhere to become an officer with a war record anyone would envy. In a militaristic society like the not-German Empire that firmly puts her in the upper reaches of society. What could possibly go wrong? Oh, I forgot that she’s also on her way to an essential and safe assignment. Yeah, she’s got it made now. What could possibly go wrong? Everything. Just asking “What could go wrong?” is a red flag. It’s not healthy to jinx any fortunate situation that happens to come your way. The foolishness of someone counting their chickens before they hatch. Oh, how I await the blunders. She’s going to an institute of higher learning during war-time, so she’s going to be living in Interesting Times no matter what…I see you down there Irene! Not all misfortune or turnarounds are flags! Someone should tell Tanya arrogance isn’t fitting for fools. Presently, she’s setting herself up to be the biggest fool ever. A physical being grounded with limitations or an entity that can be anywhere, everywhere, manipulate anything and if so desired, can obliterate that physical being’s entire existence. Which one has the upper hand? I do think that enough “flags” are going to be triggered, etc. But, I’m going on the idea that the first three episodes of an anime usually set the tone and the type of story structure. I can see these taunts of her as a vehicle for future misery, despair, and bad tidings, but…later on they might function as a callback. Tanya sure is pushing her luck taunting a being that can overwhelm her in every way imaginable. The saying is “You mess with the bull and you’ll get the horns” for a reason. The more she resists the purpose behind her reincarnation, the worse the resulting backlash will be. Honestly, it’s hard to accept she can be so naïvely sure of herself with her current path. I refuse to believe she actually thinks attaining an easy life would be a walk in the park when she’s racking up notoriety and positive feedback. They’re piling reasons to continue putting her on the battlefield until something drastic happens that no longer allow her to. Nothing in the world goes exactly the way you want it to or at all. Remember that Tanya spent her infant years self-aware with that 30+ year old man’s mentality. Fully conscious of being subjected to everything infants experience: Internally (Drooling and no control of bowels, etc…) and externally (Everyone tending to what she couldn’t do herself which surely would’ve impacted her pride). That couldn’t have been a pleasant psychological experience. 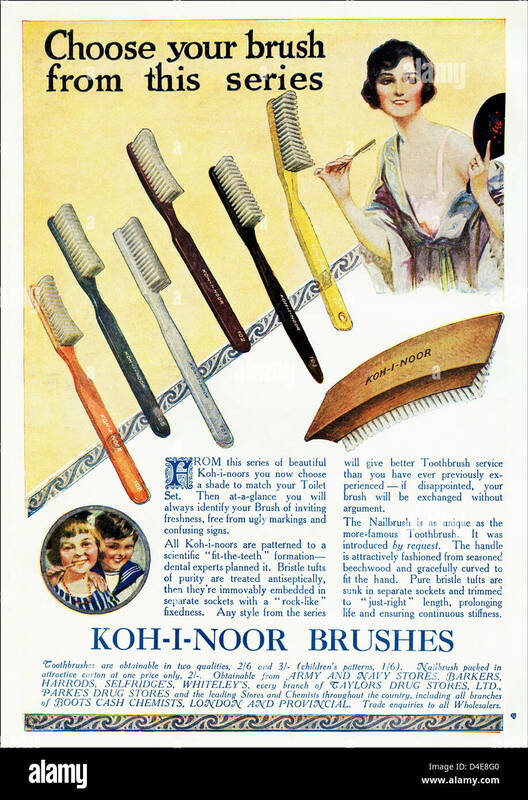 So are toothbrushes just HUGE in that version of not-WW2eraEurope or what? WW1 era sky, and actually yes, they were quite big. Plus, she’s a little girl, so even bigger. And also, in general toothbrushes in the West are bigger than those sold in Japan (they are so tiny, they’re like kids brushes that you see in the US). So, perhaps they were trying to design it how they imagined an old western style toothbrush looked and made it slightly too big? I knew that if I threw that out there, someone would do the research for me. Outsourcing! You know seeing a 9 year old girl not even batting an eye at killing/death and war should be really shocking to her comrades right? It very much is, and one commanding officer pointed it out again this episode. Thanks to Bushido Samurai for the translation of all the Mini-episodes. Looks like Studio NUT did cut out the conversation between gods that shed a little more light on their motivations and their problems. I guess it would have clarified some of the questions people had last week, but I don’t think we lost anything of significance as far as the anime adaptation goes. All we need to know here is that existence X has made it his personal mission to proselytize Tanya. For me, his personal mission, as you say, is far more interesting going into and out of the third episode. I’d rather they further the characters and the plot a bit than spend it introducing a bunch of oddball characters that should be deep background anyway. Gods should be mysterious, and having one that takes on this level of human jealousy is fascinating, much more than the Mt. Olympus Easter Egg Hunt of Gods and their Motivations/Elrond’s Stupid Council could be, for now…. Yeah, the good thing about existence X is that he challenges our presumptions about what gods should be like. He retains all the fantastic, unexplained powers, but he doesn’t have any of that “higher being thought process” that we like to prescribe to gods and the like. As he is, he might as well just be a really powerful mage. And that makes us begin to question just what exactly constitutes a god. Which makes Being X a fine narrative twin in some respects to Tanya/T, specifically T. As he was a person in authority that very well could have adapted a different stance. There’s a part of my that is going the complete fanon route here: Being X’s and T’s story is the same thing, it’s only some of the details and the scale or scope – divine and mortal – that differ. But that’s just me.